What happens when you take our ribbed belly plastic and combine it with the tail of a minnow? Why, big walleyes and smallmouths, of course. This unique bait is not your average jerk minnow. It’s more of a finesse bait…for when a Moxi or a Pulse-R is just too aggressive for the fish. 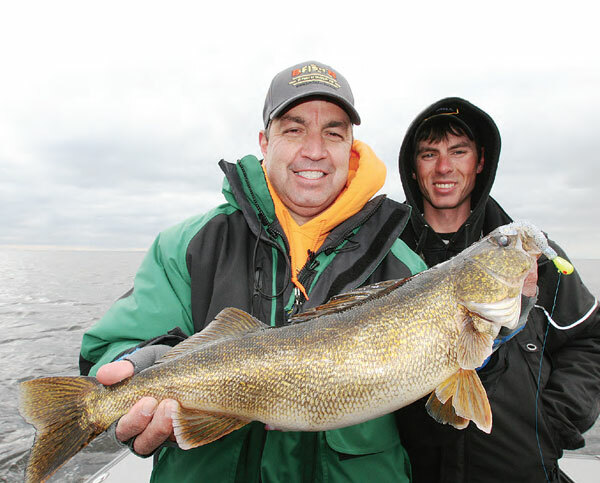 The Ribb-Finn is a coldwater walleye killer! Cast to the side, let the current swing the Ribb-Finn downstream and WHAMMO! 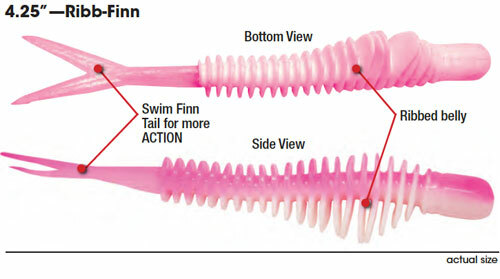 If you don’t have your confidence up, rig the Ribb-Finn with a minnow, half ‘crawler or leech. Once you start catching, fish the Ribb-Finn alone. Its natural forage that really gets the strikes! I've bought quite a bit of the authentx plastic this year and they havent let me down yet. I am impressed with the quality of the bait and the efficiency of the shipping process. I have only used the bait once for bass, so only time will tell if it works for Largemouth Bass on Lake Fork. We just got back from Canada and the new Ribb-Finn was awesome. I fished it bare and tipped with either a crawler or leech and I don't think it made a difference. The walleyes and northerns loved it. ​AuthentX Plastic Factory Seconds Grab Bag - 20 pcs.